Not far from the former Pharaonic capital of Amarna in Middle Egypt lies the site of the town of Chemenu, which was known in Ptolemaic and Roman times as Hermupolis Magna. Already in the Pharaonic period Hermupolis had been one of Egypt's most important cultic and administrative centres since it was the city of Egyptian god Thoth - the Greek Hermes - and the administrative centre of the 15th nome of Upper Egypt. 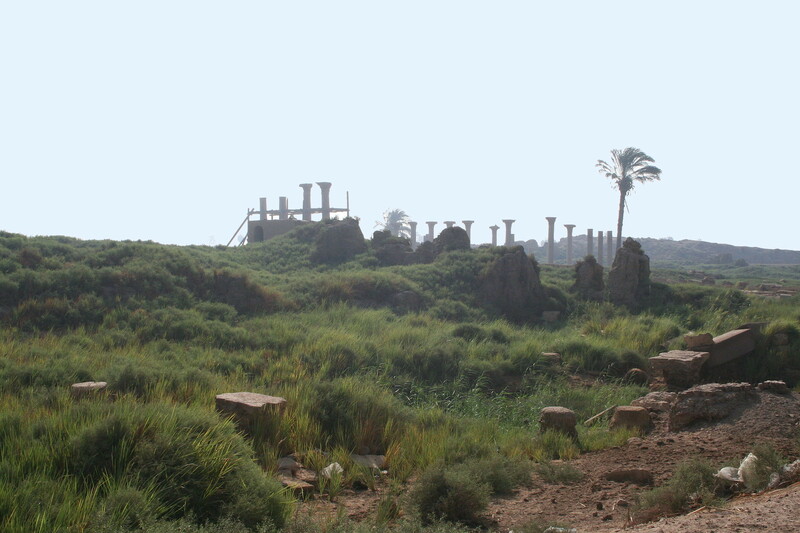 In the Graeco-Roman period, the town prospered once again, as is apparent from the impressive archaeological record and the nearby necropolis of Tuna el-Gebel. With a published corpus of more than 1500 papyri, Hermupolis Magna can also be reckoned among the main papyrological treasure troves besides the Faijum and Oxyrhynchos. Despite its importance, ancient historians have hitherto neglected the study of the city's history and development. The only monograph on the city's history appeared in 1918 and is lamentably outdated, since only a fraction of the extant source material had been published at the time. A brief entry in the Lexikon der Ägyptologie from 1977 must thus be considered the most recent coherent discussion of the town's history. The main focus even of this article, however, is on Pharaonic Chemenu, with the result that the Ptolemaic and Roman periods remain underexplored. Given this state of research, an in-depth study of ancient Hermupolis Magna would fill a significant gap in the study of Graeco-Roman Egypt, but would also contribute to the study of the ancient city in general. Besides the substantial amount of papyri and occasional mentions in literary sources, the city is also extensively archaeologically documented and has provided almost 100 inscriptions. This material not only provides insights into the personal affairs of the city's inhabitants, but also into administration and economics of Hermupolis Magna. The habilitation project therefore aims to produce a city history of this nome capital that incorporates this newly accessible source material. The chronological spread of the material nevertheless makes it necessary to focus particularly on the Roman period from the 1st to the 4th century CE. Particular attention is due to the relationship between the nome capital and its neighbouring city of Antinoopolis, founded by Emperor Hadrian in 130 CE on the opposite bank of the nile. The citizens of Antinoopolis were granted a number of privileges, such as a custom marital law and exemption from liturgies, all of which distinguished them from the inhabitants of Hermupolis. A number of factors, not least the short distance of around 8 km between the cities, will have resulted in a palpable sense of competition, but also in steady exchange between the time-honoured nome capital and the new Hadrianic foundation. The study will therefore take a great interest in tracing the influence of increasingly prosperous Antinoopolis on the demography, economics, and culture of Hermupolis. In doing so, the habilitation thus aims to shed light not merely on the mechanisms of inter-city competition, but also on questions of civic identity in Roman Egypt.